A man shambles down out of the hills of northern Alaska and into the only diner in the tiny, fly-speck sized town of Dread's Hand. He sits down at the counter and casually orders his favorite, hot cocoa. The waitress is trembling as she brings it to him. As Joe Mallory is enjoying his drink with dried blood all over his shirt, he suggests to the waitress that she contact the local law officer, that he has finished burying five bodies in the hills and he'd like to turn himself in. 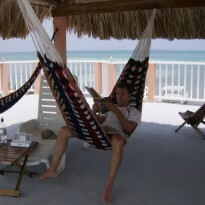 Paul Gallo watches the news report back in Maryland of the Dread's Hand murders and immediately takes interest. His twin brother, Danny, disappeared in the remote town over a year ago and no one has seen or heard from him since. He quickly flies out there to see if his brother is one of the dead and to finally get some answers. However, the residents of Dread's Hand aren't much for strangers in their town and Paul Gallo doesn't belong there. So far, Bone White is my favorite read of 2017. Malfi does an incredible job at painting the bleakness of the desolate Alaskan town and the haunting foothills that stretch out from it. My emotions ranged across the spectrum as I read the story. There aren't many places that are truly isolated anymore. Dread's Hand is the exception and Malfi plays it up like a maestro. The whole time I was reading Bone White, I kept having visualizations of 30 Days of Night. Shoddy cell phone coverage, vast expanses of nothingness, residents few and far between and no one is interested in helping Paul solve his mystery. All the while, in the background, you can feel the dread and danger mounting, but still out of reach. You know something is coming, but what? 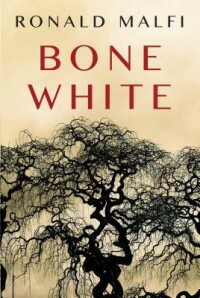 If you have yet to become acquainted with Malfi's work, I highly recommend it and Bone White is a fantastic place to start.